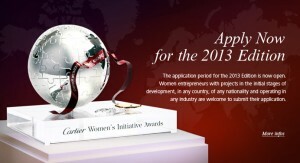 The Cartier Women’s Initiative Award offers funding, coaching, networking opportunities and exposure. It is a unique opportunity for early-phase women entrepreneurs to take their companies to the next level. The Award is designed to maximize the learning experience for candidates, finalists and laureates.